“When she saw Alesana’s fur she instantly started to lick it and rub her face on it." Alesana and Sen lived together for most of their lives, and were always the best of friends. 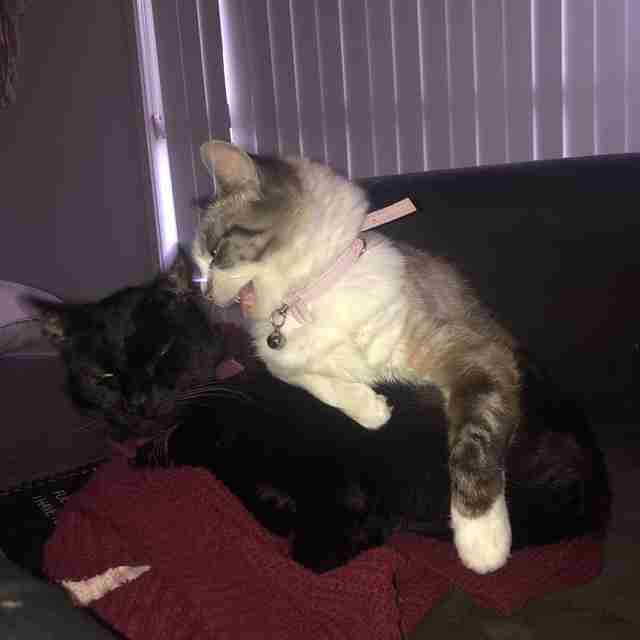 They spent nearly all of their time together, cuddling and playing, and their favorite thing to do was to clean each other’s ears. 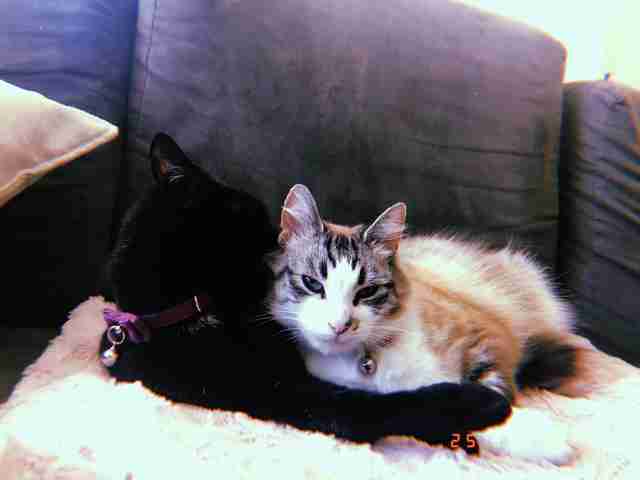 Their bond was unbreakable — until, at 8 years old, Alesana was diagnosed with cancer and sadly passed away on Christmas morning this past month. It’s impossible to explain to a cat that their best friend has passed away and won’t be around anymore. 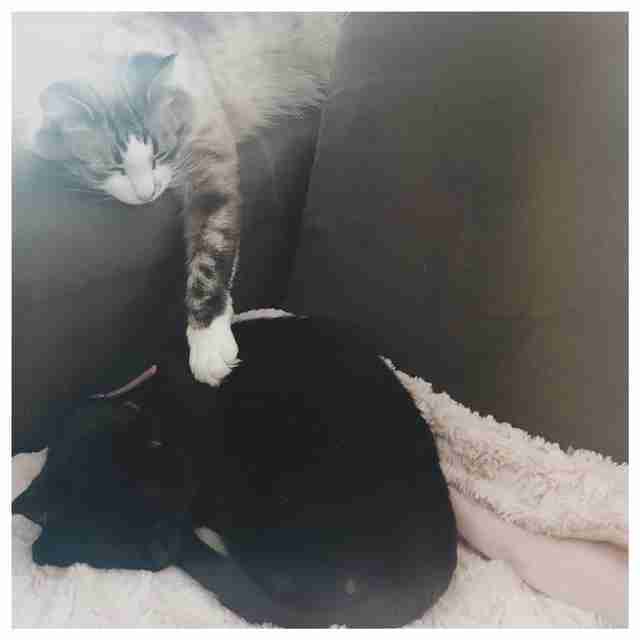 As the days went on after Alesana’s passing, Sen’s family watched with heavy hearts as the 4-year-old cat mourned the loss of her best friend. 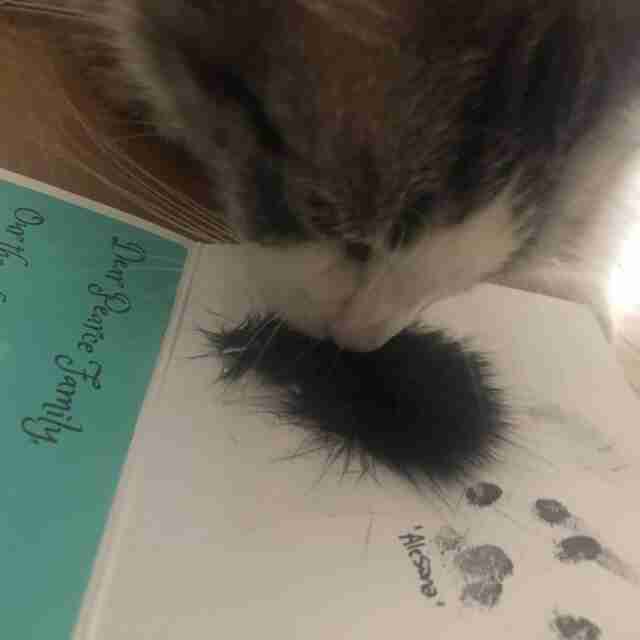 Recently, the family received Alesana’s ashes and paw prints and a tuft of her fur, and Pearce had an idea to help Sen cope with her grief. … and her reaction was the sweetest thing ever. 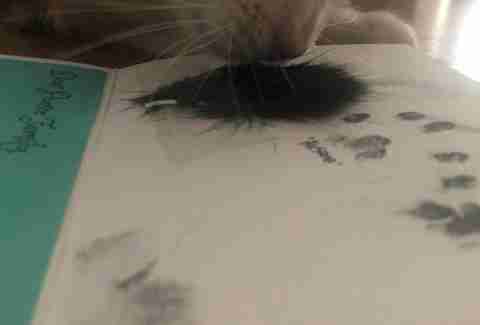 “When she saw Alesana’s fur she instantly started to lick it and rub her face on it,” Pearce said. Sen seemed to know immediately that the fur was from her late best friend, and her mom hoped showing it to her would help her process what had happened and eventually move on. “We try and give her as much love and cuddles as we can so she doesn't feel too lonely,” Pearce said. Pearce has shown the tuft of fur to Sen a few times now, and the sweet cat has had the same reaction every time. Eventually, once everyone is ready, Pearce plans to frame the tuft of fur so they’ll always have something to remember Alesana by. 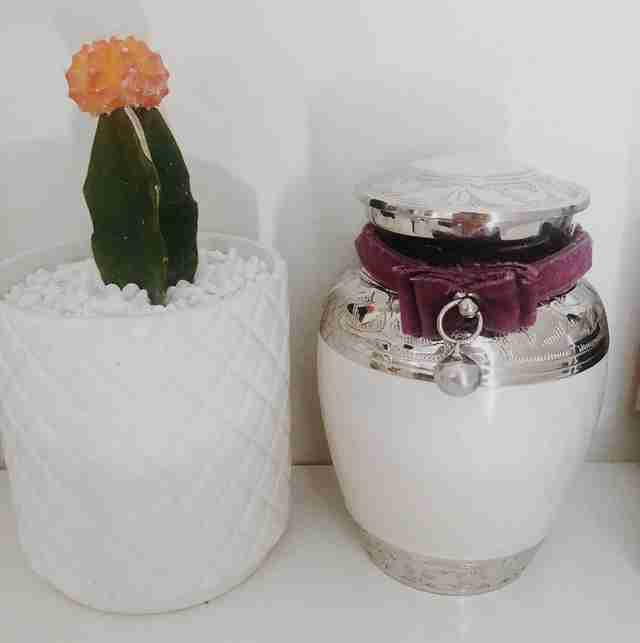 Her ashes are also displayed in an urn with her collar wrapped around it, a collar that matches the one that Sen still wears, and even though she’s gone, her family can still feel her presence all around them.